Recently, one of our customer want to use office 365 in SBO mailer service. 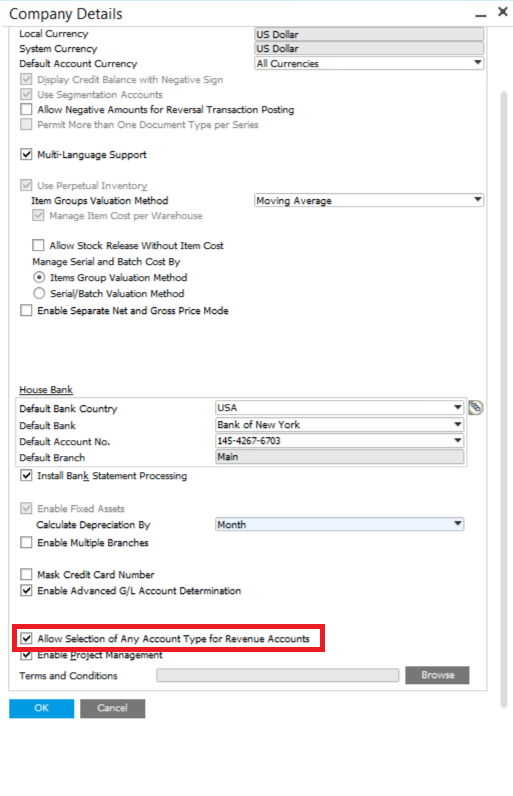 Exchange will check the SBO user’s email address to see if it match the email address setup in SBO mailer service, if it doesn’t match, the authentication will be failed. 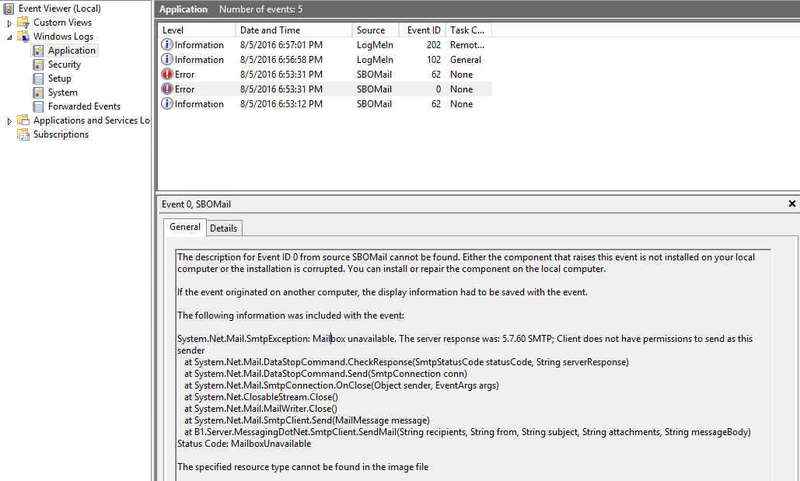 (Google work app wont have this issue) and you will see the following error message in application event center. 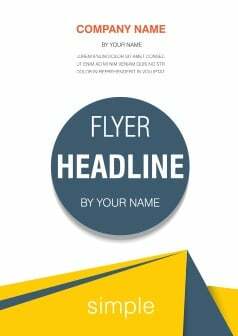 Here is our solution to allow SAP business One Mailer service send Email by using a common Office 365 business Email address to represent all SAP users’ respective Email addresses. 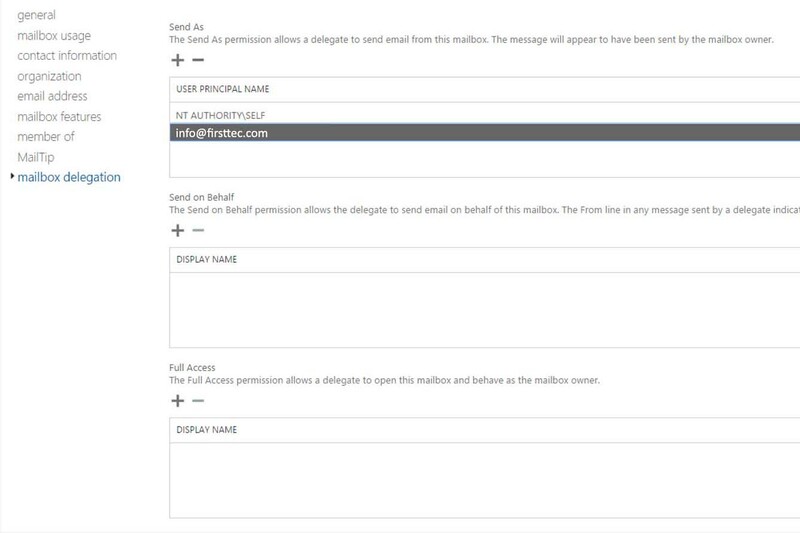 What you have to do is give the Email address you setup in SBO mailer service the “Send as” permission under all those SBO user’s email addresses in office 365 exchange setup. 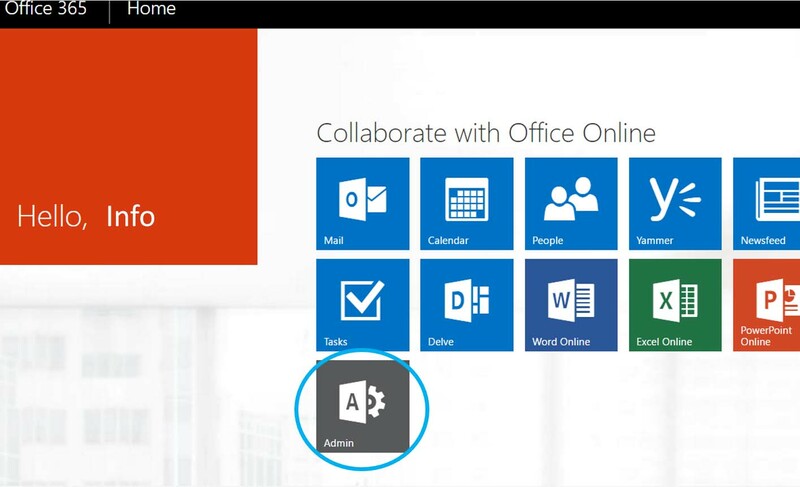 Login with Office 365 admin account and password. 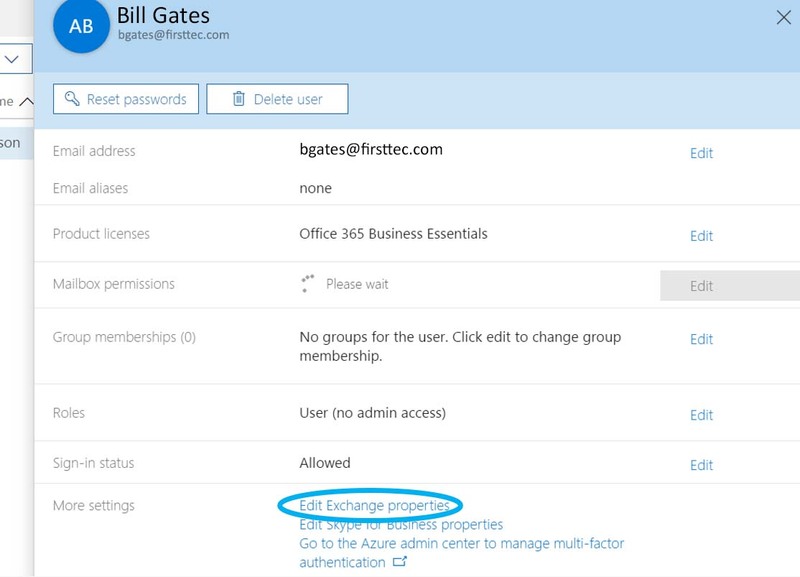 In user Exchange properties page, go to mailbox delegation. 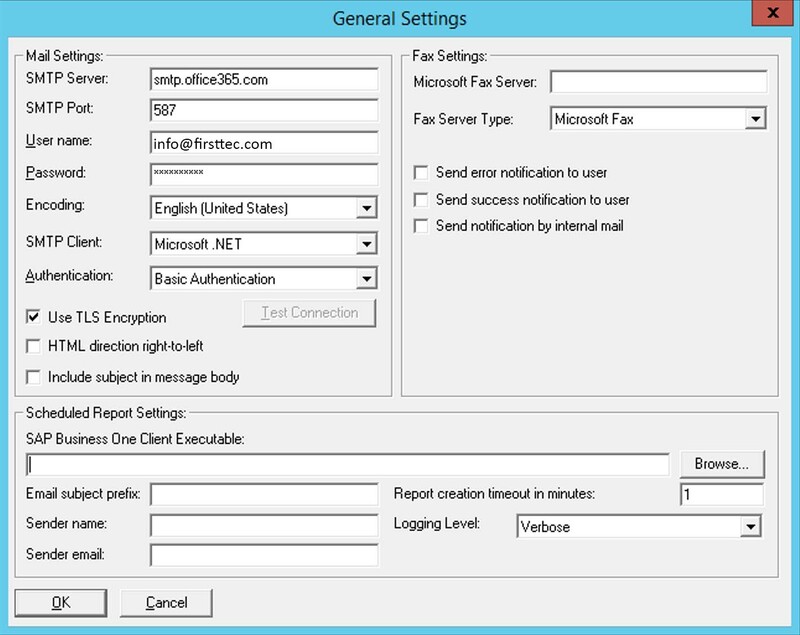 After the setup, all alert will use this common Email address (info@firsttec.com) as the sender’s address, other Email will use sap user’s Email address as the sender’s.